In the early 1920s, painters and artists began creating films that took cinema into new visual territory. Treating the filmstrip as a canvas, they made works that privileged color and the rhythm of film’s movement. To accompany the Atlanta Contemporary Art Center’s current exhibition of contemporary painting, Film Love presents an evening of historical handpainted film works and films by painters. 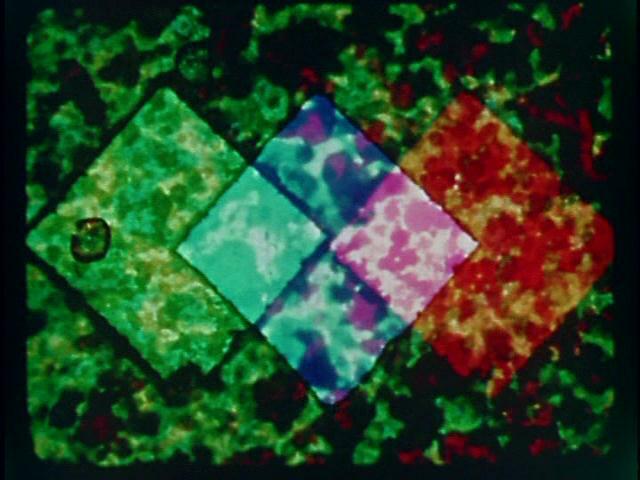 The program begins with early 1920s works – some of the first abstract films – in which painters Hans Richter and Viking Eggeling worked through new ideas about the cinematic medium. Two early masters of the handpainted film, New Zealander Len Lye and the American Harry Smith, are represented by vibrant, virtuosic works. Avant-garde pioneer Stan Brakhage turned to handpainting film late in his career, producing haunting works that suggest abstract expressionist painting but move with a filmic rhythm and depth entirely their own. Robert Breer’s enigmatic, hand drawn animation of a train trip and Jennifer Reeves’ latter-day The Girl’s Nervy are two acknowledged masterpieces of handmade cinema. With films by Viennese Actionist artists Otto Muehl and Gunter Brus, the program also explores how artists have used the human body as an artistic surface. Drawing together all these concerns is the work of filmmaker and current Whitney Biennial artist Luther Price. In his "Inkblots" series, Price re-edits found documentary footage, then paints over the filmstrip in complex layers. Price's Inkblot films are projected as originals – no prints are made. Thus, it is Price's own painting that moves through the projector and is animated on screen. The materiality of paint and of the film strip are linked, with implications of the materiality of the human body itself. PAINTERS FILMMAKING is co-sponsored by the Atlanta Contemporary Art Center. PAINTERS FILMMAKING is a Film Love event, programmed and hosted by Andy Ditzler for Frequent Small Meals. Film Love promotes awareness of the rich history of experimental and avant-garde film. Through public screenings and events, Film Love preserves the communal viewing experience, provides space for the discussion of film as art, and explores alternative forms of moving image projection and viewing. Film Love was voted Best Film Series in Atlanta by the critics of Creative Loafing in 2006, and was featured in Atlanta Magazine's Best of Atlanta 2009.